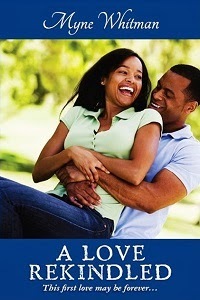 I mentioned in the post about what to expect here in 2012 that I will be featuring some writers from Naija Stories. So starting this Monday, I will be posting some of the short stories that were submitted for the recently concluded Christmas Nostalgia Contest. The Contest Judge, Ikhide Ikheloa, rated this entry by Seun Odukoya 4th out of ten shortlisted stories, and it was one I really enjoyed. Hope you like it too. The first time I killed a chicken by myself was in 1993 December, in my parents house in Lagos. I nearly kill myself join. Thanks to my early love for horror movies the sight of blood did not scare me, but I was appalled by the idea of killing something that actually lived and breathed. Besides, I hated the shrieking of the chickens and would not have volunteered that year had it not been for Peju. She was the daughter of a neighbor; a single mother who lived directly opposite my parents’ house. Absolutely gorgeous; petite complete with blue eyes and yellow hair (more like black eyes/hair; blame romance novels), and she liked me. I did not know events in the cosmos had conspired to help me make a fool of myself that year. What happened was this: my immediate elder brother who usually did the slaughtering was away in the university; his first year in there and so, probably feeling like a ‘big boy’ refused to come home. The first three, all boys and older than him were out of the country. It was just me, my kid sister who was too young to hold anything bigger than a Barbie doll, our parents and Peju who was in my house because her whole family was away on a spiritual retreat and did not want her along. I was too excited to wonder why. So Christmas morning dawned, and with it came the question who would do the honors of killing the innocent chicken. Truthfully, I was scared witless and would have stayed hidden in my room had Peju not come to tell me my mum was about to do it herself and then added that she; Peju, was scared like I was which is why she came in my room. I was angry. Here I was with my ‘dream girl’, and she believed me a coward. I had to redeem myself so – jumping up and speaking in what I thought was a Barry White baritone but was actually a teenage squeak, I asked why mother would bother herself when I was in the house. As I walked towards the kitchen, Peju ran after me and held my hand. I was in heaven. When I got there, my mum was about to do the deed and I drew back, hoping it would be done before I was noticed. I had forgotten that Peju was with me. “Seun is here, mummy. He’s here to kill the chicken,” she said (or words to that effect). All the love I had for her evaporated that instant and I snatched my hand from hers, hating her with all of me. I walked on leaden feet towards the sink where mum was, also hating her for forgetting how young I was. “I’m your baby!” I must have screamed at her telepathically, but she did not hear me, a small smile playing around her lips as she handed me the knife. My hand was shaking so bad I nearly dropped it, but I gripped it harder and climbed on the stool mum placed against the sink for me. The chicken was bigger than I remembered. Suddenly its eyes and beak looked really big, reminiscent of the ones I saw on the pterodactyls in the movie Jurassic Park; looking ready to pluck my eyes out. I was afraid, and only the thought that Peju was behind me stopped me from running out of there. I gripped the chicken’s head as I had seen my brothers do countless times and started sawing the knife back and forth around the neck area, standing in such a way that my body blocked their (mum and Peju’s) view of what I was doing. Within moments I had the chicken’s throat open to the bone and it had stopped struggling, blood spurting sluggishly. Without checking properly, I grabbed it and, moving quickly, dunked it in the pot of boiling water prepared for shedding its feathers. I dimly recall my mom shouting ‘duro!!! !’, which is ‘wait’ in Yoruba but it was drowned in a loud ‘SQUAARKKK!!!!!! !’ as the chicken, which was only half-dead reacted violently, spraying everyone in the kitchen with boiling water. As I was standing in front of the pot, I got the worst of it. I don’t remember what happened clearly but mum says I screamed, hurled the knife one way and myself the other. All I remember is I never entered the kitchen again that year. Somehow mum caught me and applied honey on the burns on my arms and most of my chest area, clucking and shaking her head. Fortunately she and Peju had only been lightly touched by the spray. I was so ashamed. When it was time to eat, I stared at my piece of chicken, half-expecting it to jump out of the plate and attack me. And Peju? She just held my hand through dinner, feeling sorry for me and making me hate myself more. But she never told a soul; which is partly why I carried a torch for her for a long time. When my brothers came back and heard the story, they laughed and laughed after which they christened me ‘Mr. Hot Chicken’. For the first few months the name annoyed me, but after a while either I outgrew the offense or they moved on, I don’t remember. Peju’s married now but I still run into her every now and then when I visit, during which she winks, smiles and whispers ‘Mr. Hot Chicken’. So what do you think of the story? I have to confess at this stage that at least two chickens have lost their lives by my hand. While I trembled the first time, subsequently, I was as steady as a trained assassin. Have you ever killed a Chicken? If you have, how did it go? If not, do you think you can?